Heresy (Doubleday, 2010), by S.J. Parris (the pseudonym of journalist Stephanie Merritt) is a well-paced historical thriller starring the real-life Giordano Bruno. Sent to Oxford to take part in a cosmological debate (and to secretly ferret out some information for Walsingham about the underground Catholic culture in the university town), Bruno quickly finds himself drawn into a grisly series of murders, a library containing forbidden books, and many characters who are not at all what they seem (a la Name of the Rose &c.). I was pleased with the way Parris worked in the real tensions of the Elizabethan period, as secret Catholics tried to keep their jobs and positions while attempting to maintain their personal faith (necessarily in secret). She weaves Bruno into that nicely. An excellent addition to the genre, with some good characters (including the seditious and "saucy foul mouthed Bookseller" Rowland Jenkes) who I hope might be sketched more completely in later works (this is projected to be the first in a series). - The e-book price wars went nuclear this weekend as a feud between mega-publisher Macmillan and Amazon resulted in Amazon temporarily pulling all Macmillan titles. More at GalleyCat, and some excellent analysis of this from Caleb Crain. - CNET takes a look at the iBooks program Apple debuted this week as part of the forthcoming iPad. I have to say I'm pretty pleased with what I've seen of this so far, and particularly keen on the fact that it uses the EPUB standard (which should allow, for example, scanned books from the Internet Archive and other digitization projects to be accessed easily). And via LISNews, NYT Tech-blog posts suggesting why the iPad will or won't kill the Kindle. - Everyone and their brother's already mentioned this week that the "world's largest book" is going on display at the British Library, so I simply pass it along. - Some acquisitions: the Macroom Library in Cork, Ireland has been given a signed first edition of Ulysses; the Huntington Library has purchased 35 Dickens letters from the collection of New York dealer Charles Apfelbaum and his wife. And the Yale Daily News profiles the university's acquisitions librarians. 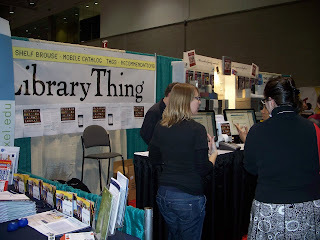 - LibraryThing unveiled "Library Anywhere" this week - a mobile library catalog, complete with published prices. - Paul Collins points out an article exploring the "Perpetual Loose-Leaf Encylopedia." - Peter Carey's Parrot and Olivier in America: reviews by Tom Shippey in the TLS; by John Preston in the Telegraph. - Elizabeth Kostova's The Swan Thieves: review by Judith Flanders in the Telegraph. - Woody Holton's Abigail Adams: review by John J. Monaghan, Jr., in the Providence Journal. - Seeing Further, edited by Bill Bryson: review by Lisa Jardine in the Independent. - Adrian John's Piracy: The Intellectual Property Wars from Gutenberg to Gates: review by Caleb Crain in The National. - Michael Kranish's Flight from Monticello: review by Robert K. Landers in the WSJ. - A third post from Steve Ferguson at Princeton giving the census as of 28 January (we've now identified more than 100 Shepard titles at various libraries, plus some other untraced ones). Steve also comments here on inscriptions and notational marks, text summaries inserted in the books, shorthand marks, and some other outstanding questions. - A third post from me at The Beehive, outlining a new MHS find in an interleaved almanac used as a diary by Thomas Shepard III: a list of books received by him from the estate of his friend Daniel Russell, who died of smallpox in early 1678/9. Two of those books have now been located at Princeton. - And I've begun a Thomas Shepard library catalog at LibraryThing as part of the Libraries of Early America series. That includes most of the books we know of so far, with the notable exception of the Princeton holdings (which will be added shortly). We're also set to track down another series of Shepard books (the exact number isn't clear yet) that are probably in the Thomas Prince collection now at the Boston Public Library. We know from the current Prince copy of one book that he had previously owned the Shepard copy but acquired a better one, and it seems that he owned at least one more as well (two other known Shepard books, one at MHS and one at AAS, are also signed by Prince). J.D. Salinger has died. Full obituary from the New York Times. Book Review: "A Gambling Man"
Jenny Uglow's A Gambling Man: Charles II's Restoration Game (Farrar, Straus and Giroux, 2009) is a fast-paced, expertly-crafted biography of Charles II during the first ten years of his reign (1660-1670), with brief telescopic looks at the periods before and after that decade. With the same writerly touch she brought to the life of Thomas Bewick in her last major biography, Uglow delves deeply into the gambles of the king during the early years of the Restoration. Capturing the scale of the difficulties Charles faced when he returned to England in 1670 to mount the throne is a task and a half, but Uglow does so with ease, deftly explaining the delicate balance beam the new king was forced to walk as he sought to bring stability back to his kingdom. Religion, finance, military power, government power structure and responsibilities: all these and more had to be negotiated, discussed, ironed out. And then there were the advisors, and the women, and the relatives, all to be dealt with. But this is much more than a biography of Charles II's first decade on the throne. As in her other works, Uglow pulls in the atmosphere of the time - significant space is devoted here to the founding and early years of the Royal Society, the Great Fire and rebuilding of London, the theater scene, the plague, &c. And the politics, oh the politics! An in-depth but well-explained primer on the machinations of Charles' court, too. A fine read. Highly recommended. - A colonial silver bowl set a new auction record for American silver, selling for $5.9 million at Sotheby's New York on Friday (smashing the previous record by an order of magnitude). The bowl was made in New York c. 1700/1710, and passed down through the Loring family. Your starting point for further reading on this should John Bell's two blog posts: "The Mystery of the Loring Bowl" and "Silver Bowl, Belonged to Joshua Loring." On the latter, please note the comments, and also see this post at Real Clear Arts. - The BPL's special collections holdings are profiled in today's Boston Herald. - Dana Goodyear's profile of Neil Gaiman is in this week's New Yorker. - Cool summer course at the Lilly, on rare-book references sources. - The finalists for the National Book Critics Circle awards were announced yesterday. Carolyn Kellogg has a good rundown. The awards will be announced in March. - Also in the New Yorker, a short story, "Trailhead," by E.O. Wilson. A fictionalized account of ants, which I found utterly beautiful. It's from Wilson's novel Anthill, coming out this spring from W.W. Norton. Deborah Treisman talks with Wilson about the book in a Book Bench blog post. - The BPL's Poe exhibit and its curator Paul Lewis get some love in the Boston Globe today. It's a good show, so do stop by if you get the chance! - In the Financial Times, Simon Schama muses about what a "24th-century digital archaeologist" will think about the objects of our time. - Arson at a synagogue in Crete destroyed more than 2,500 rare books, the director said. - Nick Basbanes highlights New York's Bibliography Week, coming up in late January. - Heilemann and Halperin's Game Change: reviews by Hendrik Hertzberg in the New Yorker; by Sarah Baxter in the Sunday Times. - Alison Weir's The Lady in the Tower: review by Hilary Mantel in the NYTimes. - John Yoo's Crisis and Command and Garry Wills' Bomb Power: review by Walter Isaacson in the NYTimes. - Seeing Further, a new collection of essays about the first 350 years of the Royal Society (edited by Bill Bryson): reviews by Leo Hollis in the Telegraph; by James McConnachie in the Sunday Times. - A.S. Byatt's The Children's Book: review by Anita Sethi in the Independent. - Robert Winder's The Final Act of Mr. Shakespeare: review by David Grylls in the Sunday Times. - Peter Carey's Parrot and Olivier in America: review by Peter Kemp in the Sunday Times. - I've added a collection of books shipped over to New England with an early group of Massachusetts Bay Colony settlers in April, 1629. We don't know what became of these books (most of which were chosen by Rev. Samuel Skelton), but it's an interesting little grouping. - The Internet Archive scanners at BPL have been going hog-wild with John Adams books lately - I've added links to the digital versions of more than fifty volumes in the last couple days alone. For any record that has a "Digital Version" link (like this one), you can click through and read John Adams' copy of the book. - I'm continuing to add medical books to the library of Dr. John Jeffries - a bit of a slog (I'm through 12 pages of the 40-page catalog) but it's progressing. Book thief William Simon Jacques appeared in court yesterday for a committal hearing; he did not apply for bail (presumably after his two-year bail-jump last time around that would have been instantly denied). Local media reports note that Jacques will next be in court on 25 February, when he will enter a plea in the case. Jacques stands accused of stealing Ambroise Verschaffelt's Nouvelle Iconographie des Camellias (1849-1860), a set totaling 13 volumes and worth £40,000-50,000, from the library of the Royal Horticultural Society. - Thomas Chatterton's Art: Experiments in Imagined History by Donald S. Taylor (Princeton University Press, 1978). Oak Knoll. - My Life with the Lincolns by Gayle Brandeis (Henry Holt, 2010). Publisher (ALA Midwinter). - Heresy by S.J. Parris (Doubleday, 2010). Publisher (ALA Midwinter). - The Bird by Colin Tudge (Crown, 2008). Publisher (ALA Midwinter). - Parrot and Olivier in America by Peter Carey (Knopf, 2010). Publisher (ALA Midwinter). - The Oxford Companion to the Book; edited by Michael J. Suarez and H.R. Woudhuysen (OUP, 2010). Publisher (ALA Midwinter). I've added collections to the LibraryThing catalog of the Mather Family Library, so it's possible to more easily see the breakdown of where the books are now (those that we know of, anyway). Not surprisingly the AAS leads the way with 1,482 known titles; the MHS follows well behind with 94, and then there are a smattering of others (Harvard with 60, Yale with 27, the Huntington with 13, &c. &c.). I also added collections for the books Cotton Mather purchased as duplicates from the Harvard College library in 1682 (some of which are now back there), and for those books we know came out of the Thomas Shepard libraries. Of course these numbers will change as we're able to confirm more locations, which I hope to be able to do. There are 95 titles I have as "Present Location Unknown," so if you can help me decrease that number, I'll be eternally grateful (I'm sure some of these are now in institutional collections). The second installment of the Thomas Shepard biblio-sleuthing saga is up at The Beehive. Here, a look at the MHS books from the Thomas Shepard libraries, with some additional notes on holdings in other institutions. The AP is reporting that the Poe Toaster did not leave the traditional cognac and rose offering at the gravesite of Edgar Allan Poe last night, for the first time since 1949. Jeff Jerome, curator at the Poe House, admits he doesn't know what's up. I've posted the first installment of what will be a several-part series at the MHS blog on the Thomas Shepard libraries. Check it out! 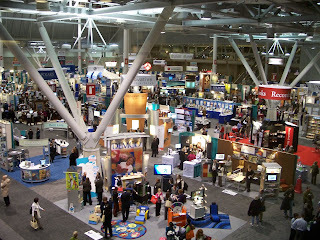 The American Library Association's Midwinter meeting was in Boston this year, held at various hotels around the city but mainly at the new Boston Convention & Exhibition Center (which, by the way, is a little tricky to get to but a beautiful space). was very impressive: vendors of all stripes (publishers, library movers, suppliers of everything from OPAC software to furniture to databases to, oddly, pashmina scarves). Collected lots of literature on the areas I was tasked to get information on (microfilm scanners, art shelving), and picked up a few interesting-looking galleys from the various publishers (and drooled over the copy of the new Oxford Companion to the Book at the OUP booth). some awesome new features). The booth was just about completely mobbed every time we walked by, which was fantastic to see. I hope they picked up lots of new LTFL clients and general users too! On Saturday night we joined a bunch of folks for the LT Meetup at the Green Dragon in Boston - that was great fun, a good chance to meet the LT crew and talk with some folks in person that I've known through LT for a long time. And we got to meet some new folks, many of whom had come from quite a distance to visit Boston for ALA. Since the weekend involved other projects as well I didn't get to quite as much of the "conference-type" stuff as I'd hoped, but will post on that part of things later on. This morning, the last day of the exhibits, I T'ed out to the hall again (complete was a nice slog through some really unpleasant weather), since the publishers were said to be doing deals on their display copies. I beelined to the OUP booth as soon as the doors opened, and snapped up the Companion to the Book volumes at half price. Can't beat that! Then I wandered the hall one more time, chatted with some publishers, picked up another few galleys, and called it a day. Still good crowds out today, even with the weather, which was gratifying. - Princeton's Stephen Ferguson adds to his earlier post on pre-1700 American books by reporting on some new discoveries of Thomas Shepard titles in the Princeton collection (including a set of Luther). We've also found that there were at least a couple Luther books in the Mather Library too - Cotton purchased two Luther titles (1, 2) as duplicates from the Harvard College Library in 1682. And stay tuned for a post from me on the MHS blog about other Shepard titles! - At Mercurius Politicus, Nick has a very cool post on Pepys changing a title page in 1663 to reflect the return of Charles II. Lots of pictures and diary excerpts! - The Ricci Map is now on display at the Library of Congress. This map, from 1602, has China at the center, and is known as the first map in Chinese to show the Americas. - The Public Doman Blog has a very interesting post up, "Farenheit 451 ... Book Burning as done by lawyers." They provide a link to some of the major works that would have entered the public domain this year if copyright laws hadn't been extended. - An update on the legal kerfuffle over Kafka's papers. - Publishing Perspectives tackles the question of why so few books by foreign authors are ever published in the U.S. (it's not what you think). - The University of Pennsylvania has acquired the papers of Chaim Potok; the author left the materials to his alma mater in his will. - From Early Modern at the Beinecke, a nice post on the font possibly used in the First Folio. - The new NYPL website has debuted. And they've got a nice online exhibit to mark the 250th anniversary of the publication of Candide. - Paul Collins looks back at Victorian fears of a French invasion via a Channel Tunnel. - From BibliOdyssey, images from a c. 1420 Italian technology manuscript. - A very surprising and neat find during the Jamestown excavations recently. - Tarquin Tar's Bookcase takes a look at the Fortsas Hoax (including a link back to my 2008 Fortsas Lives! post from when I debuted the Fortsas LT library). - Not books, but art: Polish police have recovered the nation's only Monet painting, stolen in September 2000 from a Poznan museum. A suspected, identified only as "Robert Z. ", has been arrested. - The Children's Book by A.S. Byatt: review by Vanessa Thorpe in The Guardian. - The Swan Thieves by Elizabeth Kostova: review by Clea Simon in the Boston Globe; Simmy Richman in The Independent; John O'Connell in the Times. - Athanasius Kircher by Joscelyn Godwin: review by James Stevens Curl in the THE. - The Marketplace of Ideas by Louis Menand: review by Michael S. Roth in the LATimes. - The Infinity of Lists by Umberto Eco: review by Michael Dirda in the Washington Post. - Remarkable Creatures by Tracy Chevalier: review by Ron Charles in the Washington Post. - A Brave Vessel by Hobson Woodward: review by Tom Dillon in the Winston-Salem Journal. - The Devil in the Holy Water by Robert Darnton: review by Eve Ottenberg in In These Times. - Game Change by John Heilemann and Mark Halperin: reviews by Jacob Heilbrunn in the NYTimes; Alan Wolfe in the Washington Post; Peter Stothard in the Times. Hang Onto Your Maps, Folks! 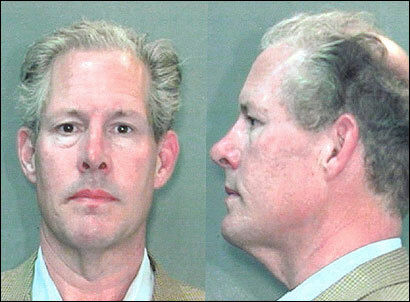 Everett Wilkie confirms that convicted map thief E. Forbes Smiley was released yesterday, 15 January 2010. - Bird by Andrew Zuckerman (Chronicle Books, 2009). Gift. - The List: The Uses and Pleasures of Cataloging by Robert E. Belknap (Yale University Press, 2004). Amazon (used). - Deception and Detection in Eighteenth-Century Britain by Jack Lynch (Ashgate, 2008). Colophon Books. - The Web of Empire: English Cosmopolitans in an Age of Expansion, 1560-1660 (OUP, 2008). Brattle. - The Qur'an, translated by Abdullah Yusuf Ali (Tahrike Tarsile Qur'an, Inc., 2009). Publisher (ALA Midwinter). - The Bad Book Affair: A Mobile Library Mystery by Ian Sansom (Harper, 2010). Publisher (ALA Midwinter). - 31 Bond Street by Ellen Horan (Harper, 2010). Publisher (ALA Midwinter). And a whole bunch got weeded, too. The January Common-place is out! It includes a piece co-written by my Monticello colleague Endrina Tay and myself, "Reconstructing a Lost Library: George Wythe's 'legacie' to President Thomas Jefferson." We're glad to see this out, and hope that you enjoy it! And be sure to read all the other excellent articles in this issue, too - as usual, it's a really good collection of topics and voices. If you're in town for ALA Midwinter this weekend, be sure to stop by the LibraryThing Meetup at the Green Dragon on Saturday, 5:30-8. Come talk books, libraries, Legacy Libraries - and have some food, too! Bird, a collection of Andrew Zuckerman's striking photographs (Chronicle Books, 2009) is a pure delight. The 200 photographs (of 75 different species, including the very rare Spix's macaw) appear simple (just the bird, against a pure white background), but when examined closely reveal color, texture and life that very few photographs I've ever seen can do. The introduction to the photos, by designer Massimo Vignelli, contrasts Zuckerman's approach with Audubon's, noting the painter's "meticulous consideration" of the birds' colors, the "expression in their eyes," and their natural habitat. Zuckerman, he writes, "approaches birds with a contemporary, minimalist attitude: no more narrative context, no more psychological interpretations, no more candid shots in the wilderness." Just light. While some of the photographs feature entire birds, many highlight just a small portion of the subject: a beak, an eye, a foot, a feathered breast. The flight images are spectacular, as are the severe facial close-ups (the very tight shot of a marabou stork's head may be enough to put you off dessert tonight). Zuckerman captures the feathery texture of a snowy owl's wing, the reptilian scaliness of a red-legged seriema's clawed foot, the iridescent blue of an American crow. The images are complemented nicely by an explanatory epilogue by Alex Vlack, which explains a little bit of Zuckerman's technique and about the methods used to 'acquire' the images (they were not shot in the wild, after all). This explains much of the book's bias - there are few passerines, and many birds of prey/large land birds. No matter: the photos are beautiful. Thankfully there's also a key at the end to tell you what they are. That helps. One of the most beautiful coffee-table books I've seen in a long time. Book Review: "The Book Stops Here"
The third of Ian Sansom's Mobile Library Mysteries is The Book Stops Here (Harper, 2008). Like the first two, the mystery itself is only a small (and not entirely meaty) part of the book, most of which is focused on Sansom's brand of semi-snarky humor and satire. He seems to be working on adding a little more depth to his characters here, particularly the narrator (that'd be Israel Armstrong, the portly, pathetic librarian) and his sidekick (the gruff van-driver Ted Carson). As with the other volumes, a good light read, with some very funny moments. My favorite bits were the few moments where Armstrong actually discusses the normal day-to-day operations of the mobile library; I laughed out loud through those pages. "We should remember that the reason we are in a settlement now is that Google didn’t have enough chutzpah to take the higher, tougher road—a direct challenge in the courts, the court of public opinion, or the Congress to the intellectual property regime that governs many books and makes them difficult to bring online, even though their authors and publishers are long gone. While Google regularly uses its power to alter markets radically, it has been uncharacteristically meek in attacking head-on this intellectual property tower and its powerful corporate defenders. Had Google taken a stronger stance, historians would have likely been fully behind their efforts, since we too face the annoyances that unbalanced copyright law places on our pedagogical and scholarly use of textual, visual, audio, and video evidence." Also, HNN has posted video of some of the panels, including Cohen's talk, Paul Duguid at the same event, and the "What Becomes of Print in the Digital Age?" panel, featuring James Cortada, Anthony Grafton, and Abby Rumsey. - In the Winter 2009/10 print issue of Rain Taxi there's an interview with Paul Collins. He credits authors Edmund Lester Pearson and Van Wyck Brooks with influencing his choice of material, noting that they are "both keenly interested in overlooked and contextual authors," and has many good things to say about McSweeney's and its editor, Dave Eggers. He also provides some interesting background on writing The Book of William (which, if you haven't read it, I still highly recommend), and lets us in on his next project. - It now appears that Kirkus Reviews may stay afloat; news this week that a buyer may have been found. - Elizabeth Kostova discussed her new novel The Swan Thieves this week on NPR. - Book Patrol notes that today's 6.5 CA quake rattled some bookshops, including our friend Scott Brown's Eureka Books (with pics). Thankfully it doesn't look like the damage was too serious. - Caleb Crain's in the NYT Magazine this weekend with their "On Language" column - it's about the recent Historical Thesaurus of the Oxford English Dictionary. - Also in the NYTimes, Ben Yagoda writes on authors being contacted about their works. - The National Lighthouse Heritage Trust (UK) is putting a collection of 200 historic travel books up for auction in Edinburgh. The books could bring in as much as 200,000 GBP. The auction will be on Wednesday at Lyon and Trumbull. - From BibliOdyssey, "Botanical Beasties." Beautiful! - The former treasurer of the Erwin Library and Institute in Boonville, NY has pleaded not guilty to charges that he embezzled more than $280,000 from the library. - There's an extract from Bill Bryson's Seeing Further: The Story of Science & the Royal Society in The Times. - Campaign for the American Reader asks "What is Jack Lynch reading?" - The Oxford Companion to the Book, edited by Michael Suarez and HW Woudhuysen: review by Noel Malcolm in The Telegraph. - The American Civil War by John Keegan: review by Gary Gallagher in the Washington Post. - A Gambling Man by Jenny Uglow: review by Megan Marshall in the NYTimes. - The Citizen's Constitution by Seth Lipsky and The Annotated U.S. Constitution and Declaration of Independence by Jack Rakove: review by Adam Liptak in the NYTimes. - The Genesis Enigma by Andrew Parker: review by Richard Fortey in the TLS. My favorite review so far this year. - McSweeney's Issues 1-3; 33; edited by Dave Eggers (McSweeney's, 2006; 2009). Publisher (they were having a sale on the first three issues, and the newest one - in the form of a full-sized Sunday paper - came as part of my new subscription). - The Book Stops Here: A Mobile Library Mystery by Ian Sansom (Harper, 2008). Amazon. The third book in the series. - The Magicians by Lev Grossman (Viking, 2009). - Housekeeping vs. the Dirt by Nick Hornby (McSweeney's, 2006). Publisher. It's been about a year since the last Davy Crockett dispute faded away, so we're due for another. And we've got it, in the form of a lawsuit over Crockett's marriage license (to Margaret Elder, who he didn't end up marrying). A Tampa Bay woman has it (she even took it on "Antiques Roadshow"), but the Tennessee county where it was filed wants it back. The St. Petersburg Times reports that Margaret V. Smith claims her uncle found the license "on the lawn" at the Jefferson (TN) County Courthouse, where it had been thrown away. County officials say no files from that period were discarded (let alone Crockett's), and judge Allen Wallace says there's "circumstantial evidence" that Smith's uncle stole the document (he worked for the courthouse in the 1930s-40s). In November, he ordered Smith to turn over the license. Smith, 90, responded to the judge's order by saying "Well they are not going to get it," leading Jefferson County, TN to request a local order from a judge in Hillsborough County, FL. The Florida judge must decide whether to honor the TN order (she could be held in contempt and/or fined each day until she returns the license). Another case to keep an eye on! Book Review: "The Alchemaster's Apprentice"
Walter Moers does for food and medicine in The Alchemaster's Apprentice (Overlook, 2009) what he did for books in The City of Dreaming Books (my review). Instead of Bookholm this time, we're introduced to another Zamonian city, Malaisea, where almost everyone is ill (thanks to the tyrannical municipal alchemist Succubius Ghoolion). Ghoolion has a maniacal plan to gain absolute power and immortality, and our narrator - a young and down-on-his-luck Crat named Echo (Crats are like cats, but with the power of speech (and universal language comprehension, which comes in handy) falls into his clutches and makes something of a Faustian bargain with the alchemaster (which he spends the rest of the book trying to get out of). Moers pours detail after detail into the book, creating yet another rich world. But instead of carefully describing books, this time he delves into the culinary and medico-botanical realms, regaling his readers with descriptions of lavish (and lengthy) feasts (and their various components), complex gardens filled with wonderful and strange plants, and recipes for alchemical and medicinal treatments. The limning of characters doesn't suffer, though, for all the detail in other things. The personalities and quirks of Echo and Ghoolion are well drawn, and several others (including the fyllable-slipping Theodore T. Theodore, lovelorn Uggly Izanuela, and a giant moss-growing Toad) are welcome additions to the Moers dramatis personae. Imaginative, quirky, and bizarre, made all the more entertaining by Moers' excellent (and creepy) illustrations. It's not new, but it's new to me: the Hill Museum & Manuscript Library at Saint John's University has a really nice online exhibit up: "Book Marks: The Trail Readers Leave Behind." Very nice pictures and good content. The January Fine Books Notes is out: it includes a piece by Stephen Maugan on the continuing fight over the literary estate of Jack Kerouac; Nick Basbanes on Carol Fitzgerald (author of The Rivers of America and now Series Americana); a good auction recap by Ian McKay; an interview with Jeffrey Cramer (editor of a new edition of Thoreau's Maine Woods); a column by yours truly on the 1971 theft and recovery of a volume of Union College's Birds of America; and some new features, including book reviews and a list of catalogs received. I've been asked to review a new history of the Boston Athenaeum (Katherine Wolff's The Culture Club) for a future issue of Libraries & the Cultural Record, so as part of my preparation for that project I've been reading (and will continue to read) some of the earlier histories of the institution (and, as time permits, hopefully some of the recent publications relating to their bicentennial). I won't be writing reviews of each of these as I go (as I usually do), but you can keep up with what I'm doing using my new LT "Boston Athenaeum" tag. Book Review: "The Gardner Heist"
If you've ever spent any time in Boston at all (and quite possibly even if you haven't) you are likely aware that it's the sight of the greatest unsolved art robbery in history: the pillaging of the Isabella Stewart Gardner museum in the very early hours of 18 March 1990. Two thugs dressed as policemen conned their way into the museum, handcuffed the two underqualified security guards, and made their way through the building, ultimately leaving with thirteen works of art (some masterpieces, some minor works, valued at anywhere between $300-500 million). Ulrich Boser's The Gardner Heist (HarperCollins, 2009) delves deeply into the story of the theft itself, but concentrates more on the aftermath and the whodonit aspect of the crime: after becoming (as he freely admits) wildly obsessed with the robbery, Ulrich attempts to do what Boston police, the FBI and other authorities have failed to do for the last nineteen-plus years - solve the case and recover the missing objects. Boser doesn't manage to crack the case, but he does offer some tantalizing clues, and takes us deep into the Boston underworld in the process. His search leads him to seek out and interview various people connected in different ways with Boston's criminal element (including more than a few of the criminals themselves, although he quickly discovers that a great many of those suspected of having connections to the Gardner robbery have met untimely and often violent ends). We meet Donald Turner (serving a prison sentence until the mid-2030s), who bears a spitting image to one of the robbers and one of whose known associates (now dead) looks an awful lot like the other intrude. Boser introduces us to criminal lawyer Marty Leppo and confessed art thief Myles Connor, as well as to a whole cast of fascinating characters from both sides of the Atlantic who have sought to solve the case. This makes for good reading, even if some of Boser's actions (i.e. flying to Ireland hoping to run into Whitey Bulger) seem mildly preposterous. There are so many unanswered questions about the Gardner thefts (including more than a few raised by Boser in this book) - who were the actual robbers? Why have the two guards acted so strangely since the events of that night? (if I had to guess, I'd say the fact that there are so many murders connected with this case probably has a little something to do with it). And of course the big kahuna: just where are the missing artworks? Given the still-unsolved nature of the case, Boser isn't in a position to answer any of these questions, and at times his obsession (again, as he notes in the book) cost him a little bit of perspective (his description of dreaming about the missing paintings, and his fanciful conversation with a fictional criminal mastermind who organized the caper, were a bit much. Overall, a very good synopsis of the theft and those connected with it, and also a neat little mini-biography of "art detective" Harold Smith, whose files Boser used to begin his investigations into the case. A fitting subject for the next book, perhaps. The FBI still maintains an open case-file for this crime, and you can read their report, see photos of the missing artworks and descriptions of the suspects here. Return of the art brings a $5 million reward. - The Washington Post reported this week on rumors that a new Leonardo da Vinci painting is being authenticated by Boston's MFA. If true, awesome (and I can't wait to hear the story!). - In the Worcester Telegram, a profile of the AAS' S.J. Wolfe, who's been researching the question of whether mummy wrappings were ever used to make paper in America. A find she made during her research seems to suggest that the answer was almost certainly yes. - Paul Collins notes his Slate piece on Omni Magazine. - In the January AEMonthly, Michael Stillman examines the Top 500 Auction Sales of 2009, Bruce McKinney's provides the seller's viewpoint on the sale of his De Orbe Novo sale at Bloomsbury (my report here), and there are reviews of 24 dealer catalogs. - Jonathan Shipley notes that there's a movie coming about Charles Darwin, starring Paul Bettany and Jennifer Connelly. - In the NYRB there's an exchange over Robert Darnton's recent piece on the Google Books Settlement (commented on here). - Author Ursula LeGuin has resigned from the Authors Guild over the Google Books Settlement. - From McSweeney's, "Declarations of Conjugal Interest from the Massachusetts Federalist, 1733." - The library of Rush University Medical Center has been acquired by the University of Chicago. - Stanford reports on the very cool "Mapping the Republic of Letters" project. - There's a Q&A in the Boston Globe with author Joel Richard Paul about his recent book Unlikely Allies (which I got for Christmas and hope to read soon). - Allison Hoover Bartlett was on NPR's "All Things Considered" this week, talking about The Man Who Loved Books Too Much. And there's a great quote from Ken Sanders, too, about Bartlett's subject, thief John Charles Gilkey: "He's a dirty little book thief and there's nothing romantic about it. There's nothing noble about him. He might have a passion for books but his passion is for thievery. As far as I'm concerned, he's the man who loved to steal books too much." Hear, hear! - Stephen Ferguson has a post on the Princeton Rare Books blog about books in Princeton's library owned by Americans before 1700, along with an image of the very cool ownership stamp/brand used by minister Thomas Shepard. - Another anthropodermic binding (or at least the remnants of one), profiled at Reading Copy. - In the NYTimes, Danny Hakim profiles historian Charles Gehring, director of the extensive and impressive New Netherland Project. - Writing in the WSJ, John J. Miller examines Arthur Conan Doyle's love-hate relationship with his most famous fictional creation. - Monica Hesse writes on Vooks in the Washington Post. - Methuen, MA has applied for an IMLS grant ($3,000) to preserve a school attendance log kept by Robert Frost in 1893. They're also accepting donations. - A lawsuit filed against Yale University, if successful, could call into question the ownership of tens of billions of dollars worth of art and artifacts, the Washington Post reports. - Jack Lynch's The Lexicographer's Dilemma: review by Neil Genzlinger in the NYTimes. - Jasper Fforde's Shades of Grey: reviews by Adams Roberts in the Guardian; Ron Charles in the Washington Post. - Robert Calasso's Tiepolo Pink: review by Arthur C. Danto in the NYTimes. - Donald Kagan's Thucydides: review by John Timpane in the Philadelphia Inquirer. - Kathryn Allamong Jacob's King of the Lobby: review by Fergus Bordewich in the WSJ. It's been more than a year since we last had an update on William Simon Jacques, 40, who went missing last May after skipping bail on charges that he stole books from the Royal Horticultural Society. The authorities finally caught up with Jacques on Christmas day, arresting him in Selby, Yorkshire. He appeared in City of Westminster magistrates court, where he was charged with the theft of Ambroise Verschaffelt's Nouvelle Iconographie des Camellias (1849-1860), a set totaling 13 volumes and worth £40,000-50,000, between December 2006 and February 2007. Jacques is believed to have signed into the library using a false name ("Mr. Santoro"). Jacques has also been charged, the BBC notes, with "going equipped to commit theft." His next court date is 21 January. You can see images from the Verschaffelt camellia books here (please note these are not the volumes Jacques is accused of stealing; those have not been recovered). There's a picture of Jacques in this 2008 BBC report. Police have asked antiquarian booksellers to keep an eye out for the camellia volumes - which are, I fear, probably already separated into individual plates (I sure hope I'm wrong about that). I'll keep a weather-eye on the case as it proceeds. - The Maddest Idea by James L. Nelson (Pocket Books, 1997). Gift. - Mutiny on the Bounty byCharles Nordhoff and James Norman Hall (Back Bay Books, 1989). Gift. - The Oxford Companion to Ships and the Sea by I.C.B. Dear and Peter Kemp (OUP, 2006). Gift. - Samuel Pepys begins his diary, 1 January. - Daniel Defoe born, September. - First copyright legislation (Britain's Copyright Act), goes into effect, 10 April. - Margaret Fuller born, 23 May. - Elizabeth Gaskell born, 29 September. - Goethe's Theory of Colors (Zur Farbenlehre) is published. - J.M. Barrie born, 9 May. - Charlotte Perkins Gilman born, 3 July. - Arthur Schopenhauer dies, 21 September. - Mark Twain dies, 21 April. - Leo Tolstoy dies, 20 November. - Paul Bowles born, 30 December. - Albert Camus dies, 4 January. - Boris Pasternak dies, 30 May. - John P. Marquand dies, 16 July. - Richard Wright dies, 28 November.